A sensational story has emerged this weekend of how an infamous evil dictator was hours away from buying Manchester United. Colonel Gadaffi was ‘hours away’ from securing a majority stake-hold in Manchester United. The story has been revealed by now Cardiff City chief Mehmet Dalman who almost brokered a deal between Gadaffi and Manchester United. A sensational story has emerged detailing of how controversial dictator Colonel Gadaffi was ‘hours away’ from owning Manchester United. The controversial story has broke this weekend in which Mehmet Dalman has revealed that Gadaffi was within touching distance of owning a majority stake in Manchester United. Dalman is now a chief at Cardiff City but at the time was tasked with the role of brokering a deal to bring a new owner into Old Trafford to take over Manchester United. 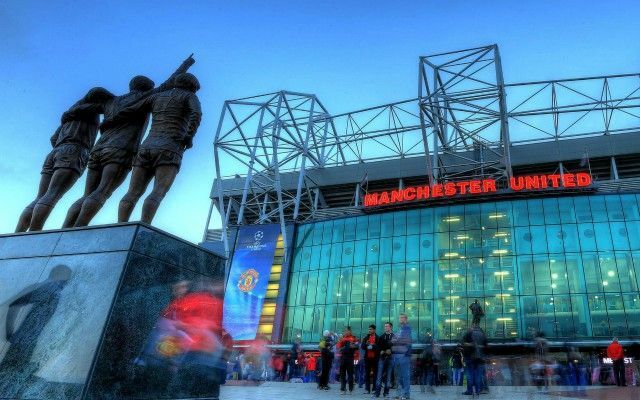 The proposed deal that almost came to fruition was apparently off of the back of a fallout between Sir Alex Ferguson and Irish tycoons, who owned shares in United, fell out over Ferguson’s race horse with the Red Devils deciding that Old Trafford needed new majority owners. The Glazer family eventually took over as majority owners but the tail of events at United certainly could have been very different if Gadaffi had taken over. Gadaffi eventually died in 2011 and was viewed by many as an evil dictator after his controversial methods of ruling in Libya.